This year’s early and glorious summer is not only offering the most relaxed weekends at the lakes but also lots of amazing cultural activities you can experience under the open sky. 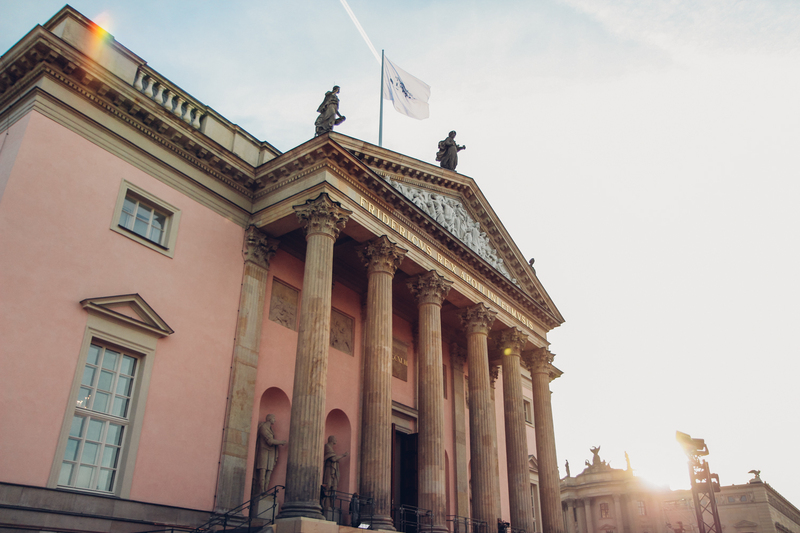 One of our absolute favorite classical music happenings in Berlin is Staatsoper für Alle. The opera house right at Under den Linden has recently reopened and is organizing once a year a weekend of free concerts and opera screenings. For this year’s edition, we partnered up with Staatsoper to offer you an amazing price: We will organize a delicious exclusive picnic at the event with lots of delicious treats (and sparkling wine ;)) for 3×2 of our readers. So you can listen to the concert on Saturday 16th and enjoy a delightful brunch with us. It’s a warm lazy Friday afternoon in Berlin. The temperature is high and the mood is dazzling. The weekend is ahead and everybody just wants to go home and change into their party shirts. But on this particular afternoon two weeks ago Berliners had a little surprise on their way home. 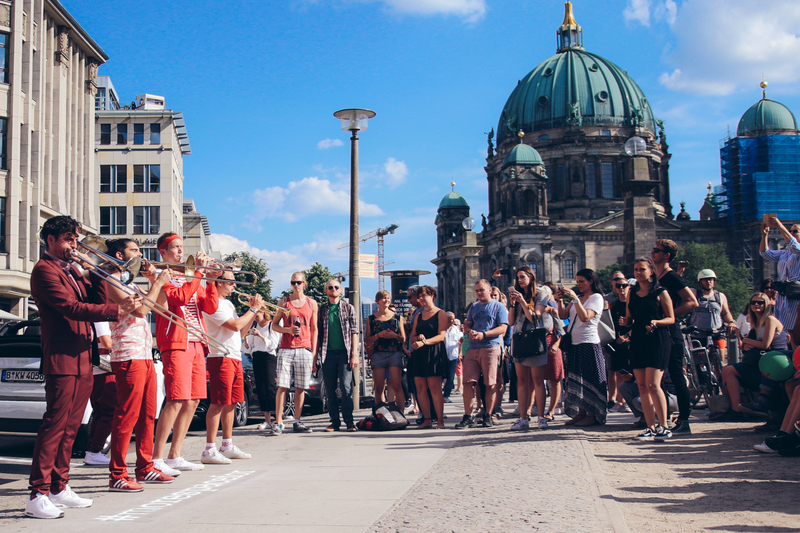 In collaboration with smart, the car brand who is well known for its minimal need of parking space, the brass band Moop Mama did a spectacular pop-up concert near Berlin Dom. We had the chance to be there while the band was playing and could dance and jump with the spontaneous crowd of Berliners. Check out the video here. The idea behind the concert #morespacefor #music is to show how much better the parking space could be used if cars would be smaller. I like the approach and think that this kind of events are part of the dialogue we need to find out in what kind of city we all want to live in. Below there are some photos from the concert. Berlin, you have done it again. You brought forward one awesome series of new unconventional music videos that are as cool as your reputation is. 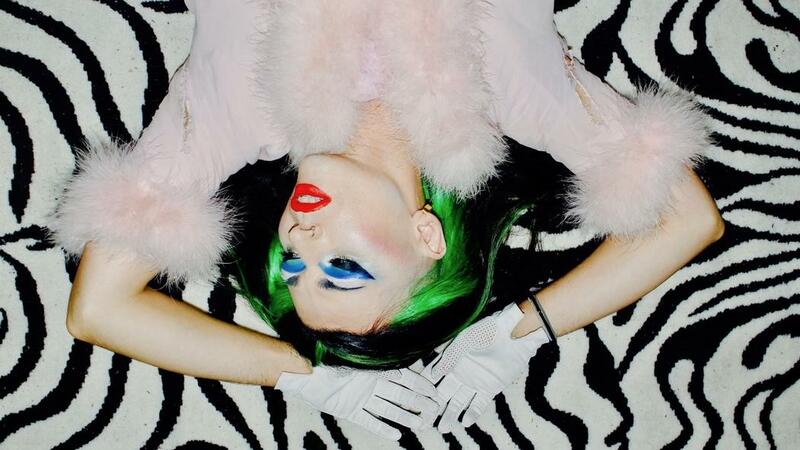 We discovered 10 amazing new music videos of Berlin-based artists that will teach you more about how the music scene in Berlin has changed and evolved. Over the last 100 years, Berlin has changed into several drastic shapes like no other city in Germany. Every time a shift happened not only the urban aesthetic of Berlin evolved but also the layer that lies beneath our everyday routines: Sound! For the next chapter of Audi Zeitgeist Projects, a unique commitment of the automotive brand to support German Avantgarde-music, this unique sound of Berlin will be presented in a completely new way. 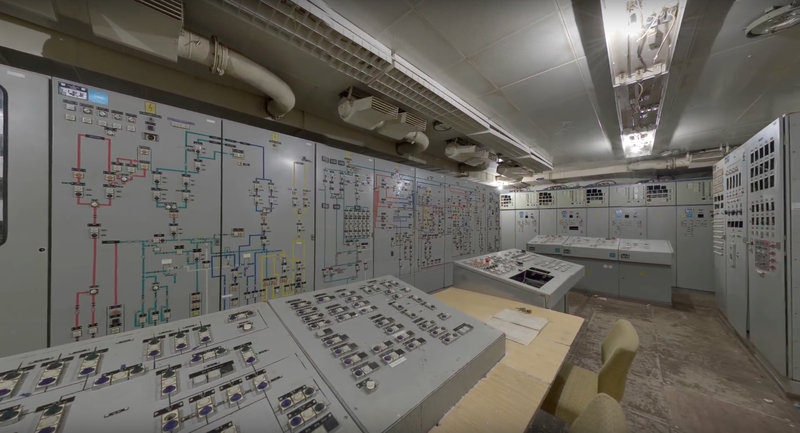 Several well-known musicians like Gudrun Gut and Modeselektor came together to compose a Symphony of Now – merging the sound of Berlin with a spectacular movie being released earlier this year. On the occasion of the upcoming premiere of Symphony of Now we decided to have a deeper look into Berlin’s movie history and we found several films that portray the sound of Berlin in different decades perfectly. The end is near – of the year 2017 – and isn’t it a special place to celebrate it, our beloved Berlin? This city offers so many opportunities to spend New Year’s Eve and make the best of it. The pressure is high to have the best possible time in this night, so you don’t want to make any mistakes. 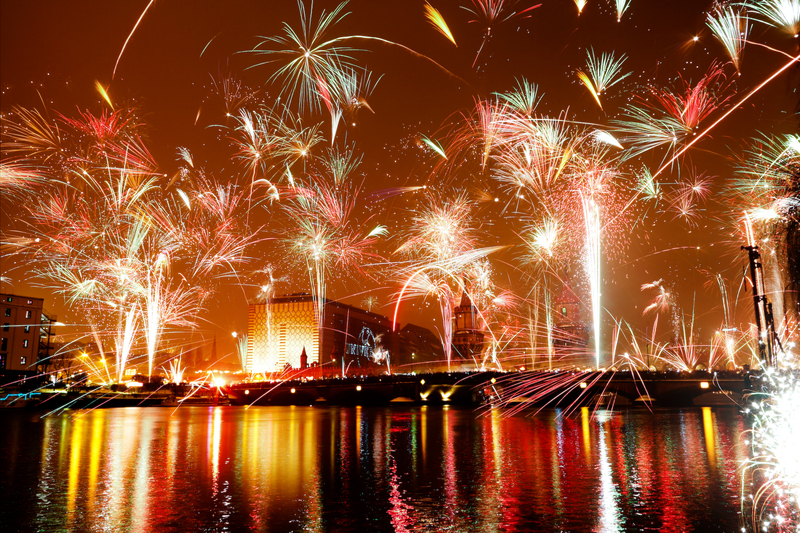 With our ultimate New Year’s Eve guide for Berlin we want to give you a bit of guidance how to do it right. As for most of you NYE is pretty much an affair that can’t be had without a bit of alcohol we have teamed up with our long-term partner Absolut. We already spend Midsommar and the Lollapalooza with them this year, so why not also New Year’s? They recently revealed the new limited edition bottle Absolut Uncover that comes in a special blue wrap that needs to be peeled off. I’m sure there will be a lot of peeling off during New Year’s Eve. For our guide we want to help you cover all aspects of this special night: how to decorate your place, what to drink, what to eat, what music to play, what entertainment to offer, where to see the fireworks, and where to party in Berlin’s clubs. You can discover all seven parts of our guide by clicking in the menu below. Enjoy! And “Guten Rutsch!” as we say in German. Techno is obviously not a new subject on this blog. After all, whether you like it or not, it’s one of Berlin’s most defining characteristics, the basics of which have already been discussed by Andy, the club culture expert we’re blessed to have on board. But, this time we look at techno from a little different angle. Like with any social phenomenon that gained cult following, the subject is quite controversial. 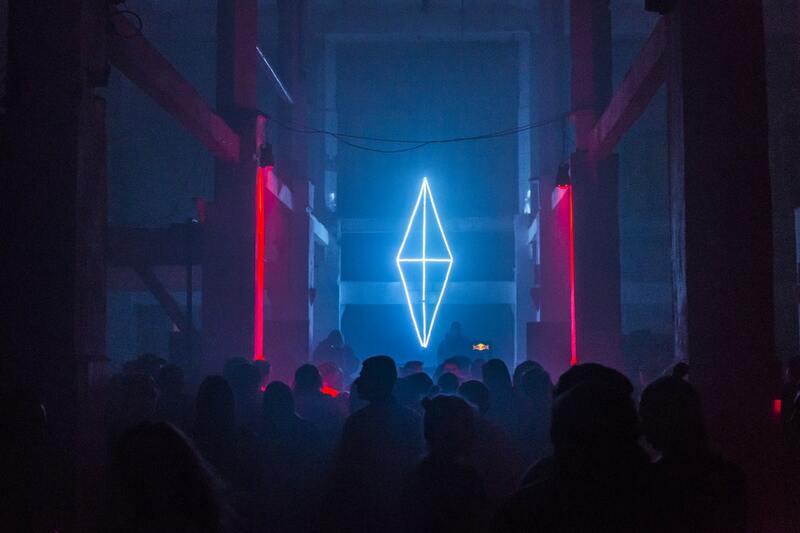 Although techno in general probably has more advocates in Berlin than it has opponents, there are still people willing (or less willing, but nevertheless reckoning) that they just don’t get it and regard the term ‘’club culture’’ as a modern-day example of an oxymoron at best. Why is public art and culture so important? Is it for our education? Prestige? Or a way to cultivate our society? Probably all these aspects are relevant. But after visiting the “Staatsoper für Alle” event this past weekend I experienced the relevance of free public art and culture first hand. On Saturday afternoon over 3000 people came together at Bebelplatz to listen to Beethoven’s 9th Symphony performed by the Staatskapelle Berlin led by Daniel Barenboim. Sharing collective cultural experiences is something that gives me intense goosebumps for many reasons. First of all, I was so impressed by this big crowd getting nearly instantly quite from one moment to another. Also it’s rare even in Berlin to see so many people from different ages and social groups come together to enjoy arts and music. Finally, I really felt the passion of the audience. These classical music enthusiasts did not show up to wear elegant gowns to the opera. But instead, they brought their own little chairs or blankets to sit on the ground. Some of them were even standing for the whole duration of the performance. This passion is for me the ultimate proof that arts and music are vital for us humans and for our human society. While young and old, poor and rich come together to enjoy the arts our difference dissolve and the pace of our heartbeats rise while experiencing this form of joy. We saw many cute couples or groups of friends who really enjoyed the music and the performance under the sun and the blue open sky over Bebelplatz. To imagine that this historical place who had experienced some troubled history is now a place where free music is performed to give joy to the public is something magnificent. We took some photographic impressions of the event for you to get a glimpse of what you missed. But no reason to be sad. 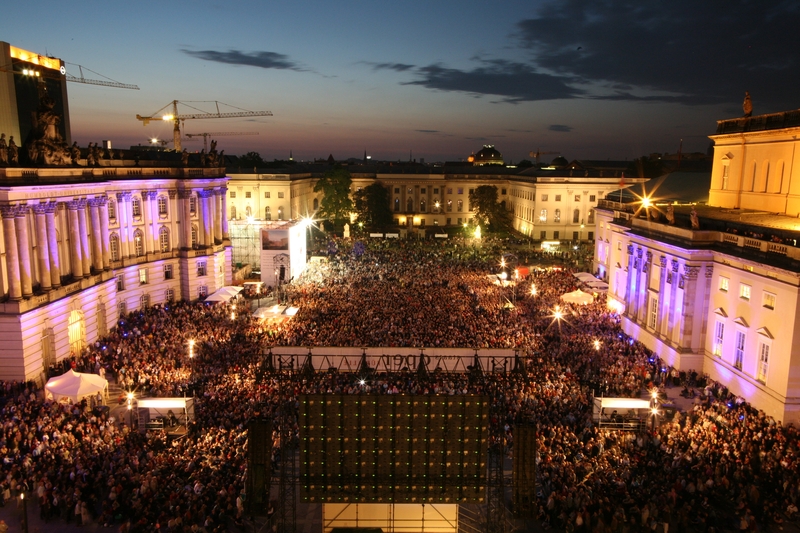 During the next days several public screenings of the concerts of the Staatsoper will happen at Bebelplatz. All the dates and photos after the jump.